Synergy’s function is, in essence, very simple: it allows you to control multiple PCs with the use of one keyboard and mouse. 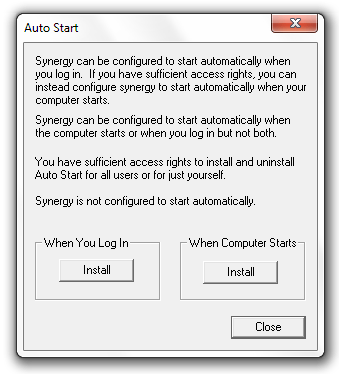 You need to install Synergy on each computer and then set one up as the “server” and the other PCs and the “clients”. 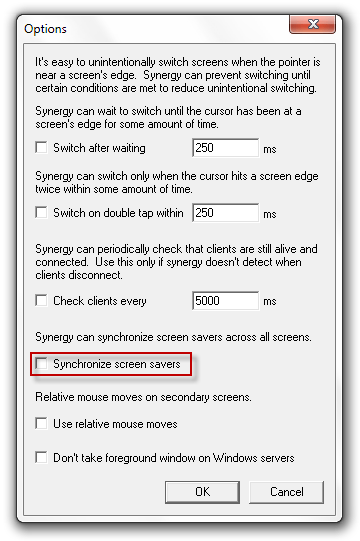 Synergy also lets you share the clipboard and screensaver between your computers. Synergy doesn’t take much setup and once complete, is a breeze to use–I highly recommend it. 1. Install Synergy on every computer you want under control of your “server” and also on your server. 2. 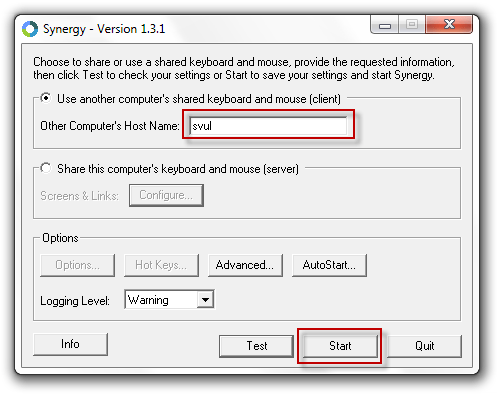 Start Synergy on the client computers, select Use another computer’s shared keyboard and mouse (client), type the name of your server*, and click Start. * To get your server name, click on the Advanced… button and type the name you wish to use in the Screen Name field. 4. Under screens, click the plus sign and add each client, by Computer name*, to the list. * To get your computer’s name, use your client’s Computer name. To get this, click the Start button, right click Computer, and click Properties. The name is listed next to Computer name. 6. Press OK and click Start. You may get a pop up from your Firewall and you’ll need to allow the connection. 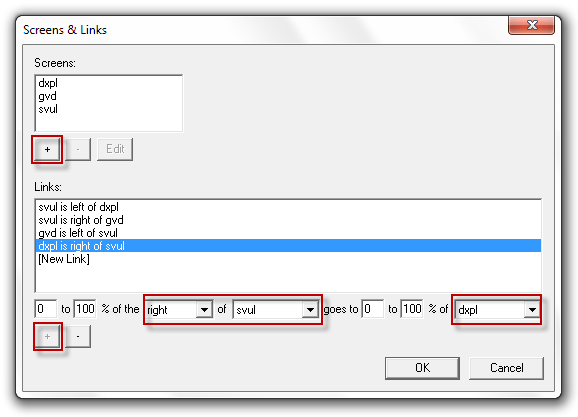 If you are using third party software, you may need to add a manual rule to allow Synergy to communicate between your computers. Please note: It can take up to one minute to establish a connection between your computers so please be patient. 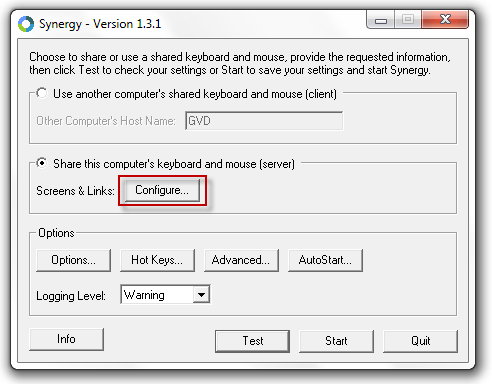 At any time, you can see which computers are connected together by right clicking the Synergy icon in the system tray and clicking Show status. I really like Synergy; it uses minimal system resources and just works. The only problem I’ve found is if you Remote Desktop into from a Synergy connected PC to another Synergy connected PC and move the mouse out of the screen (confused yet), the clipboard stops working; however, this is not really a problem — more of a quirk.